At St. Clement’s School we value curiosity so much that it informs much of what we do. Our School’s mission is to develop outstanding women who are intellectually curious, courageous and compassionate, and this is the filter through which we run our program planning and decisions. Why is curiosity important to us? How are we to ensure that our girls leave us with an embedded sense of curiosity? On Saturday morning I tweeted a quotation from an article from the Harvard Business Review entitled A New Way to Become Open-Minded. The quotation, “You can be intellectually humble (open to changing your mind about things), but if you’re never curious enough to listen to other viewpoints, you aren’t really that open-minded,” is the very reason curiosity is important. In an era where being open-minded is vital and true debate- one that considers both sides of an issue- is necessary, we must nurture our girls’ curiosity. And, nurture our girls’ curiosity we do! 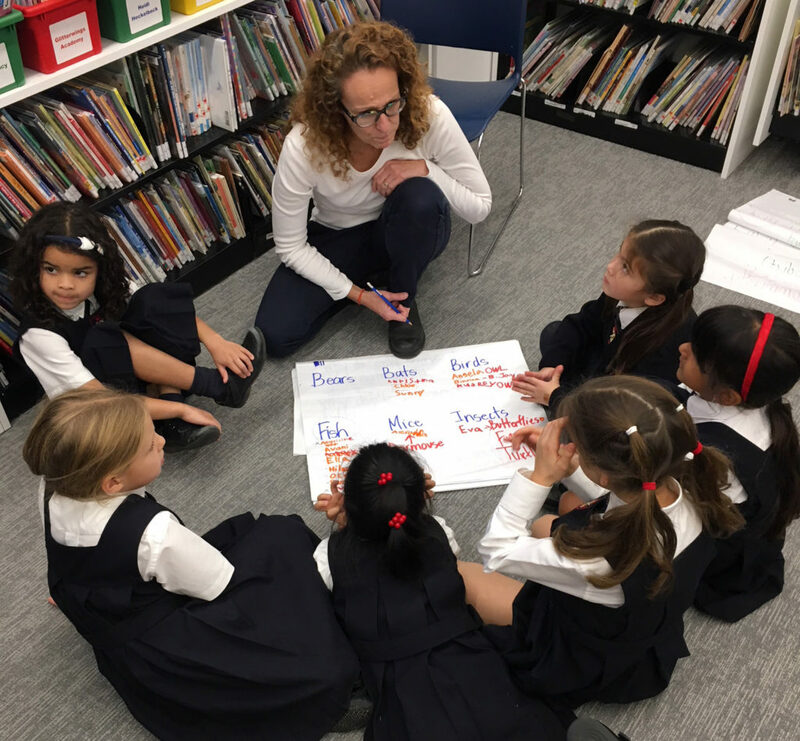 On Wednesdays during our School’s flex time, our girls from Grades 1-6 are participating in a wonderful program developed and run by Junior School staff to purposefully nurture curiosity. Called Curious Kids, the program challenges our girls to reflect on, iterate and finalize driving questions that enable deep learning. Deep learning is an approach that puts the students and their learning at the centre. Faculty design programs and activities that empower our girls to create new knowledge through their exploration and the solving of real-world problems. As I strolled through the first and second floors this week, I came across small groups of mixed grades working thoughtfully and enthusiastically on their driving questions and next steps. There is no doubt that our girls are working hard to solve issues important to them as demonstrated by some of their questions below. How can we, as environmentalists, study animals that hibernate and compare them to animals that go dormant? How can we, as scientists, raise awareness about the problems pollution creates and convince others to stop polluting our environment? How can we, as artists, make a video to spread awareness of the overuse of paper for Art, to help save the environment. How can we, as health experts, help senior school students heading off to university to stay healthy during their first year? How can we, as musicians and singer-songwriters, compose music for the enjoyment and curiosity of an audience (e.g. the world, the school, the junior school)? I feel confident that we are in good hands as our Junior School students work to make our School community- and the world- a better place. As we prepare our girls for the future, curiosity affords them deep learning and the ability to be open-minded when considering various perspectives, thereby, equipping them to be girls who stand out.